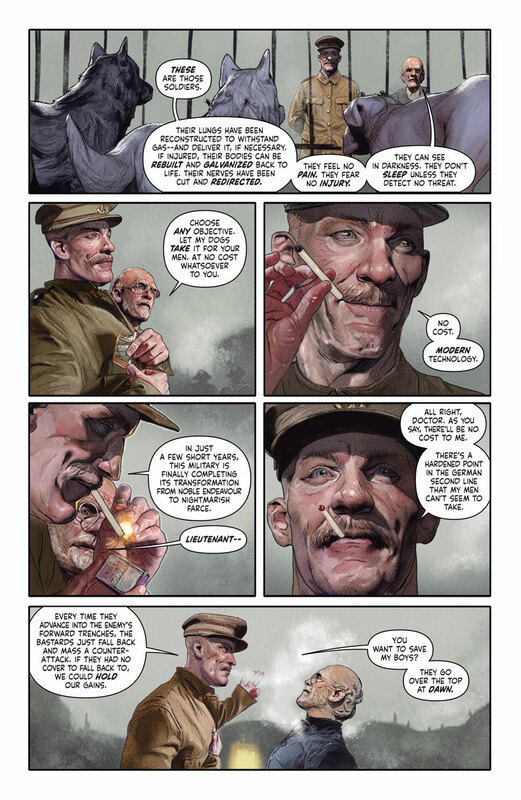 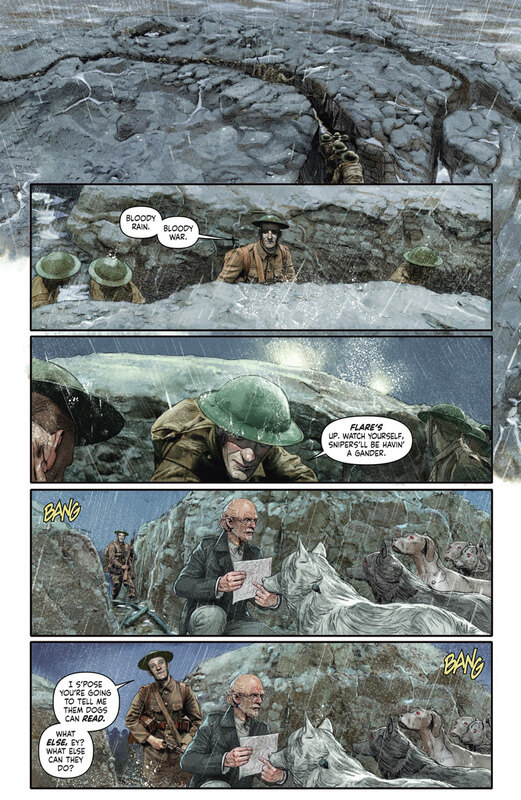 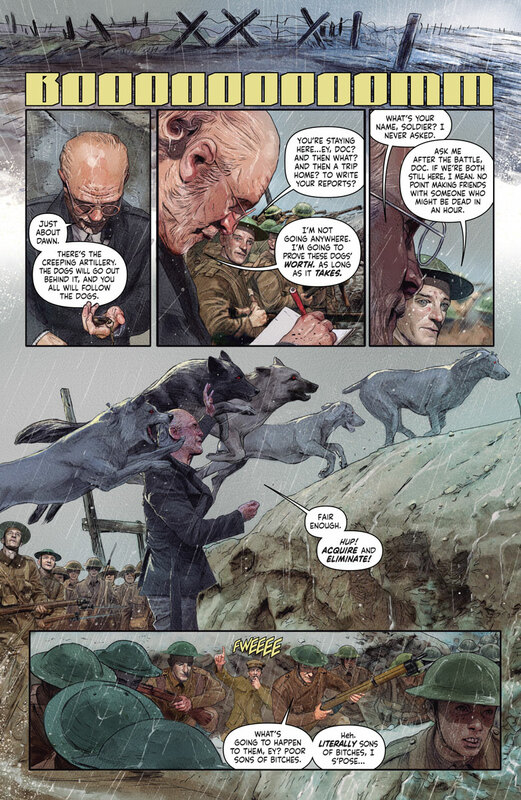 In the wire-strewn trenches of World War I, witness the true story of a good boy gone bad, as Eisner and Harvey Award nominee Ray Fawkes (Batman: Eternal) joins New York Times best-selling writer Jeff Lemire (Black Hammer) and astonishing artist Renato Guedes (X-O MANOWAR) for a special one-shot tale chronicling the never-before-revealed history of Project Rising Spirit’s first prototype in nanite enhancement: the indestructible canine weapons unit codenamed Bloodhound! 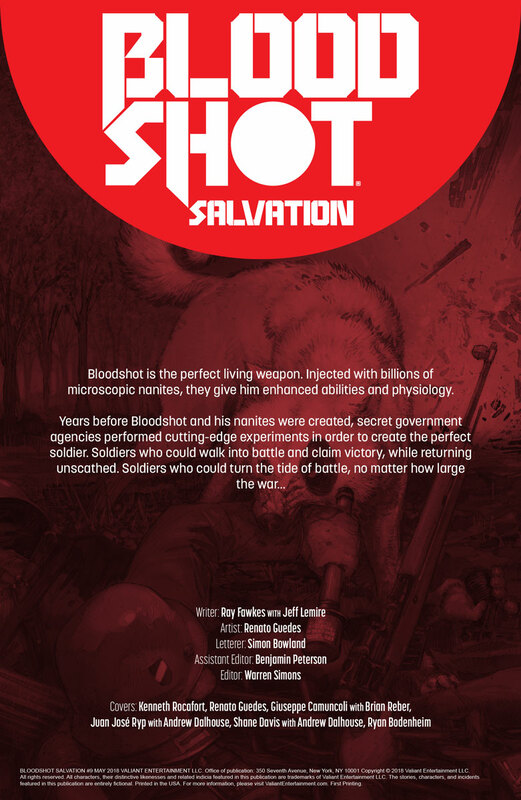 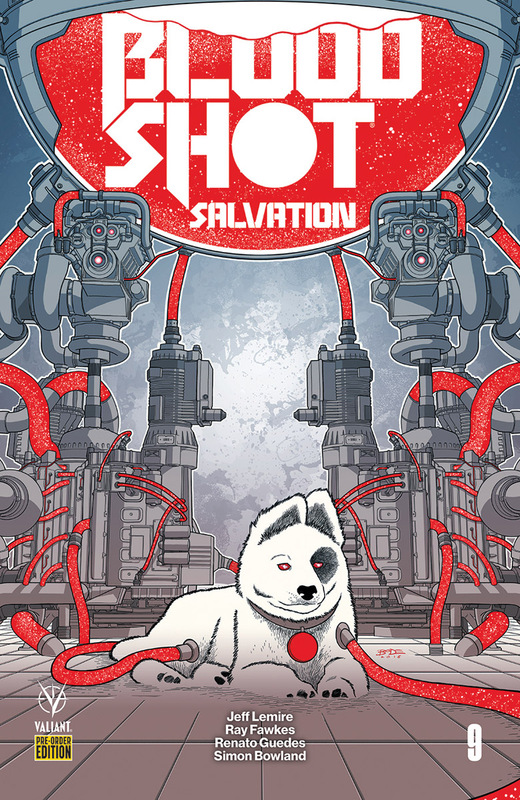 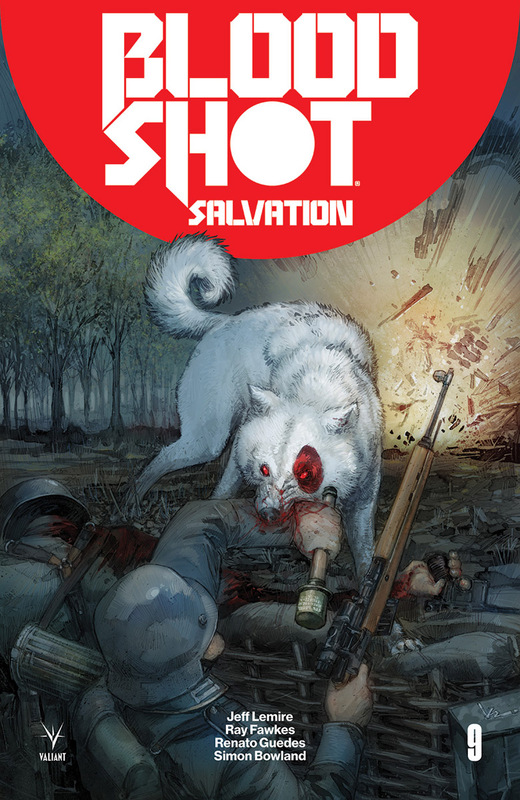 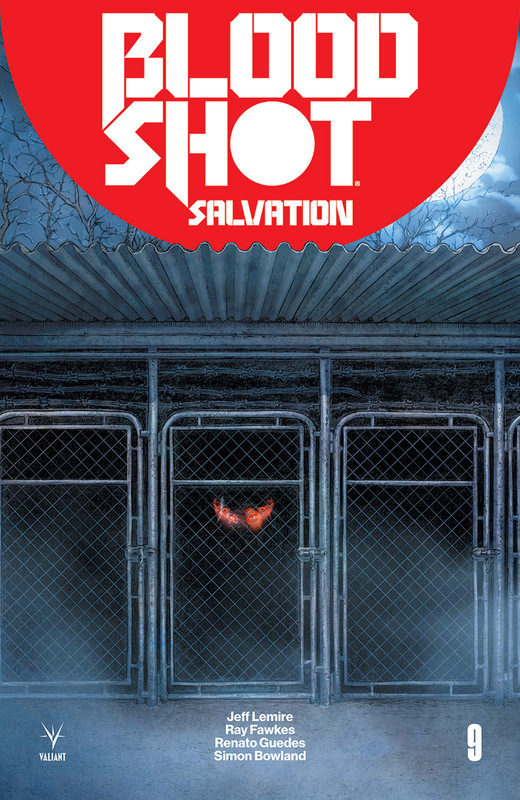 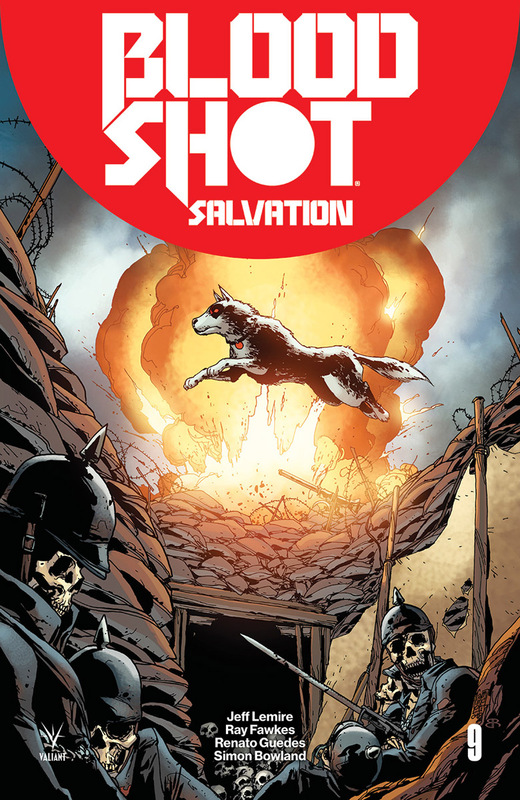 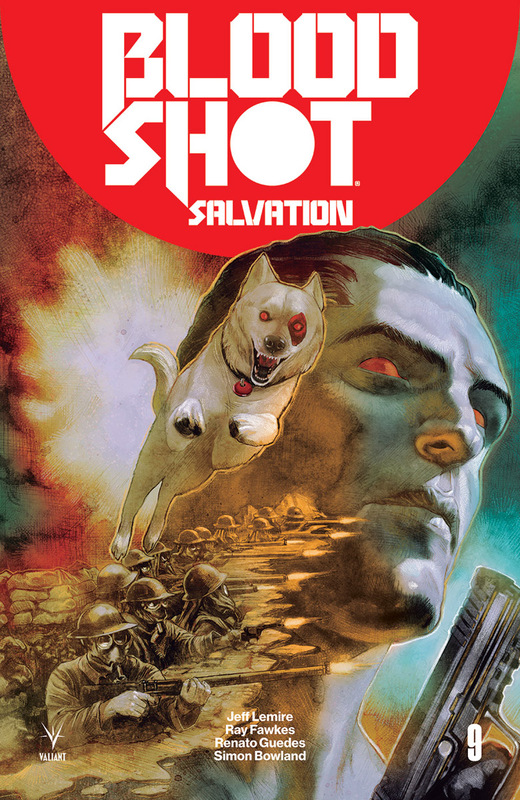 Before he found his place at Ray Garrison’s side, Bloodshot’s loyal companion learned the depths of mankind’s inhumanity toward brother and beast alike on the battlefields of France. 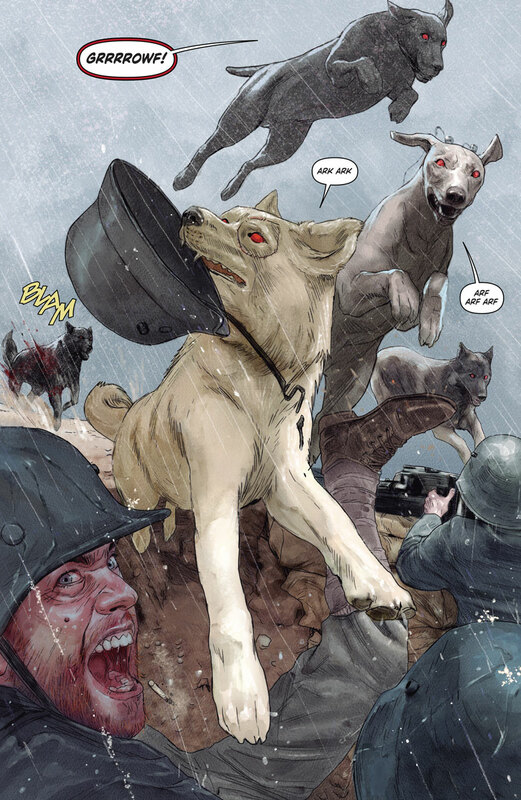 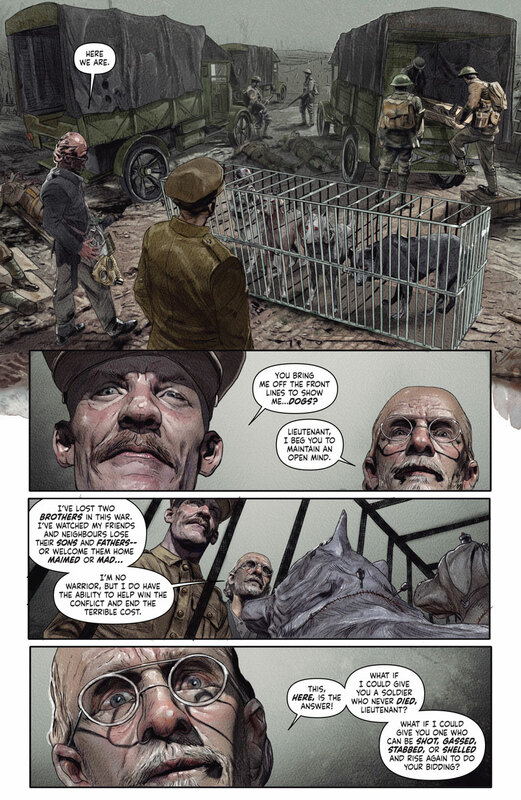 Now, as the Kaiser’s war machine approaches, find out firsthand how a beloved comrade with four legs and a soul full of fury inspired a legacy that still stands after nearly a century!